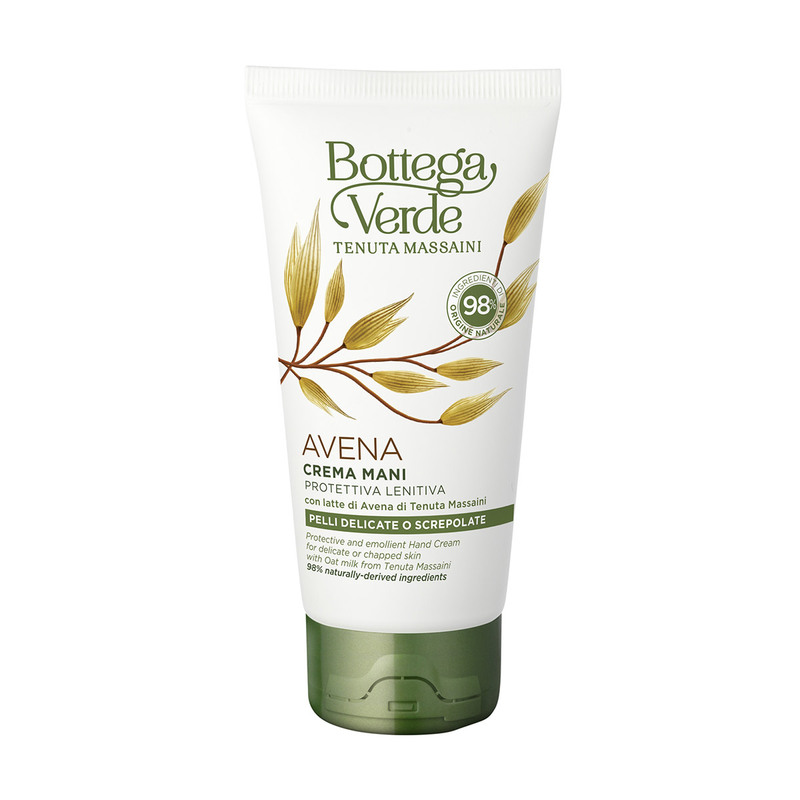 Its nourishing and protective formula for particularly dry skin is excellent for preventing and soothing cracked skin. Enriched with Tenuta Massaini Oat Milk and a delicate fragrance, it soothes and provides comfort to even the most delicate skin all day long. Its nourishing and protective formula is excellent for preventing and soothing cracked skin. - Oats flourish on our estate. Their precious products, including their Milk, have moisturising and emollient properties. Direction for use:Rub a small amount of cream into your hands whenever you feel the need... It will keep them soft and velvety at all times! Characteristic:Choose it if you want a product that contains no parabens, formaldehyde releasers, EDTA, mineral oils, silicones, ethoxylates.